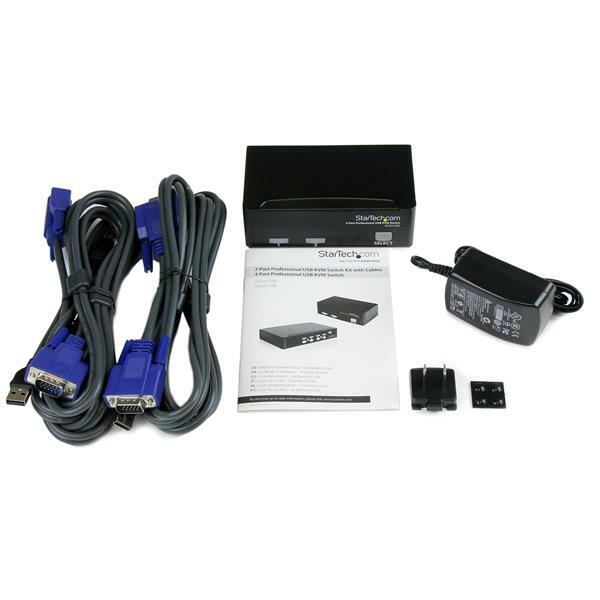 The SV231SUB 2 Port Professional USB KVM Switch Kit with Cables offers simple control of two Mac or PC computers from a single monitor/display and USB peripheral set (keyboard, mouse). 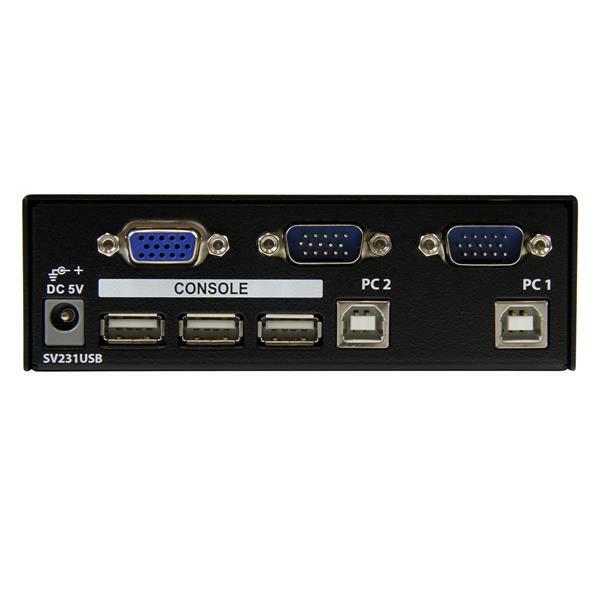 The 2 Port KVM switch includes 2 USB KVM cables, providing a complete out-of-the-box KVM solution saving you time and money. 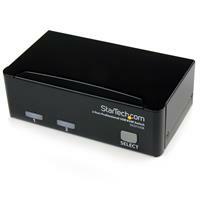 An integrated 3 port USB hub allows you to share connected USB peripherals between connected computers as though they were connected directly. A compact form factor design and rear-port connections to master and slave computers minimizes disruption to your workspace. 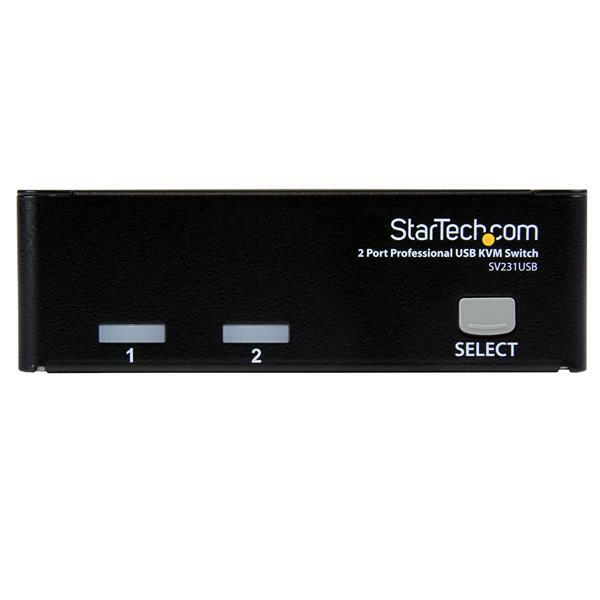 A cross-platform solution, this OS independent KVM switch supports high resolution applications up to 1920x1440, and provides a smooth operating experience when controlling mixed (Windows/Mac/Linux) environments. I have 2 units that have been in use for over 2 years with no problems. The operators prefer this model because the cables come out of the back. Works great with wireless KB & mouse.